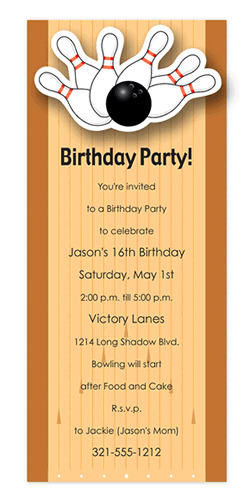 Here's a fun bowling invitation for your avid bowler. The ball & pins are attached on a spring that wiggles so they look like the pins are ready to fall down! STRIKE! NOTE: Only 6 sets left! 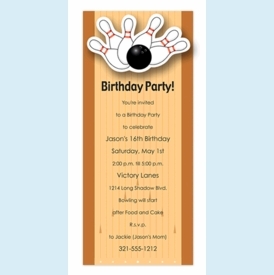 SIZE DIMENSIONS: 4" x 9.25"